David Byrne is a Pirate! David Byrne has always been one of my favorite artists. Musician, photographer, filmmaker and more, I find the breadth of his creativity inspiring. 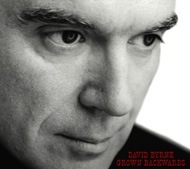 He has new album entitled Grown Backwards which includes a song called Pirates. Strangely, you can listen to the full version of Pirates from this page until September 20th which is the day after International Talk Like a Pirate Day. Bonus: Here’s a link to a cool website from one of my all time favorite albums: David Byrne and Brian Eno’s My Life in the Bush of Ghosts (1981 original / 2006 remix). Tomorrow is Talk Like a Pirate Day? Avast! Nearly missed it. Arrrrr!